For white water I have a pair of Lendal kinetic XTi which are now in their third year. 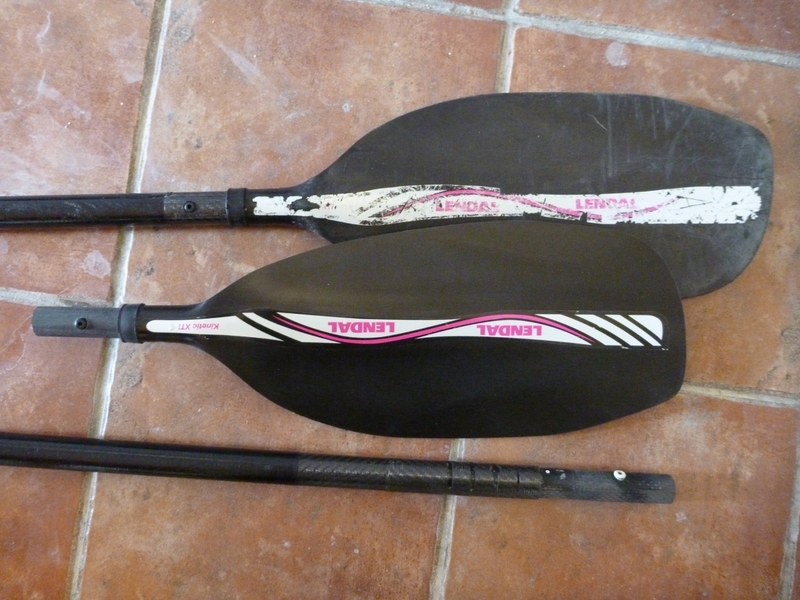 They are Fantastic blades and in CF pretty much indestructible …….. but dont run them over ! Today I received my new ‘free’ blade, I am grateful to Danny and Mark, some excellent and helpful service to my enquiries, and the postage charges to France are fair and reasonable.